The vision of VocalEssence is to transform lives by singing together, assuring a place for everyone’s voice. One way we have been living out this vision is through our work with residents who attend the Hallie Q. Brown Community Center in St. Paul and the Senior Center at the Sabathani Community Center in Minneapolis, many of whom are African American elders. Morehouse College Glee Club performance at the Hallie Q. Brown Community Center in 2016. Since 2016, VocalEssence has been partnering with the Hallie Q. Brown Community Center based in the Rondo neighborhood of Saint Paul. It began with a special performance of the Morehouse College Glee Club for the elders, and blossomed into a VocalEssence Vintage Voices program in 2018 with free tickets and transportation to the VocalEssence WITNESS Concert. 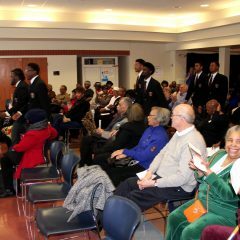 This year it has continued with a special performance of the Spelman College Glee Club for the elders this February. We are excited to continue this partnership to further our work in inclusion, access, and equity. VocalEssence has partnered with the Sabathani Senior Center for the past five years for our older adult choir program Vintage Voices. The program includes 12 weeks of rehearsals with conductor Robert Graham and pianist John Jensen, as well as free tickets and transportation to our VocalEssence WITNESS concerts in February. In addition to the traditional Vintage Voices partnership, we have worked with Sabathani in many different contexts. Singers from this choir have performed on our subscription concert The Voyage in October 2016, on the VocalEssence Gala in 2016, and on the Family Series Identity concert in November 2018. The choir has also partnered with Champlin Park High School on a commissioning collaboration in 2016. 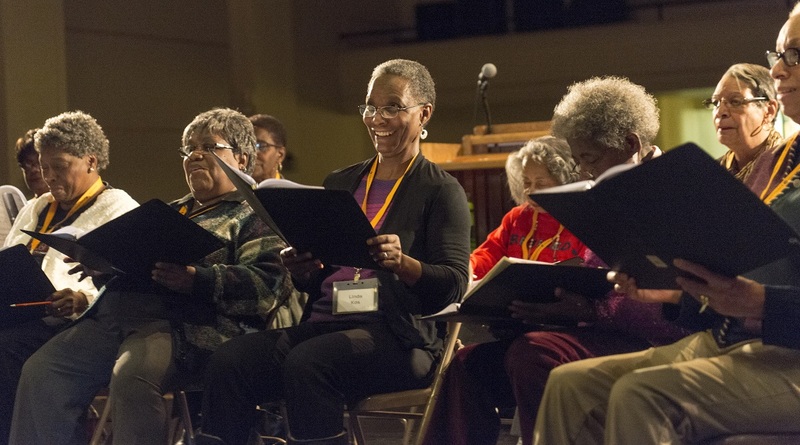 Starting the fall of 2019, VocalEssence plans to expand the partnership by creating a year-round Sabathani Senior Vintage Voices choir that is open to all older adults in the area who wish to participate. Because of our long-standing relationship with Sabathani, we have a number of articles about our partnership. Links the articles are below.